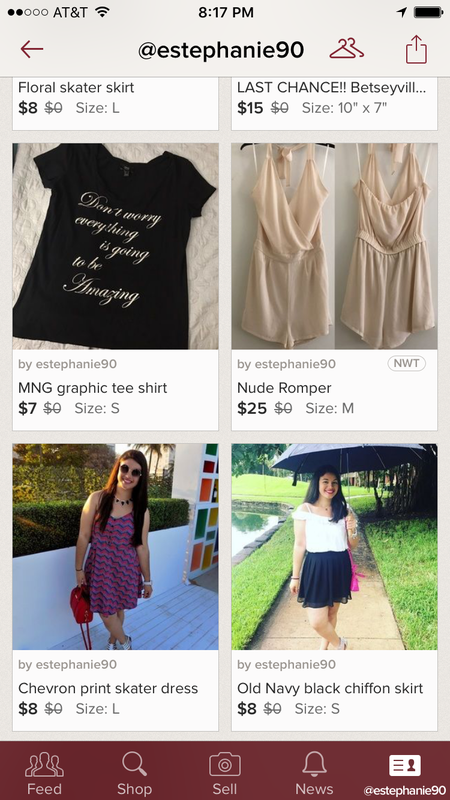 So what is Poshmark you may ask..? 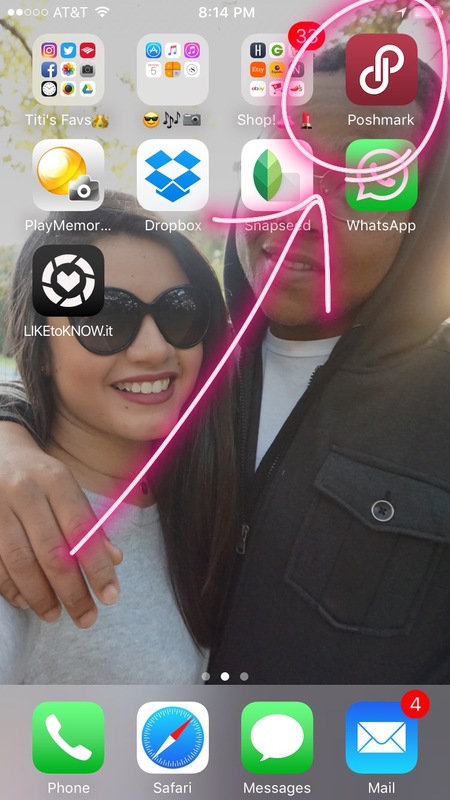 It's basically an app that you could buy and sell clothing and accessories. Anywhere from new to gently used name brand pieces. 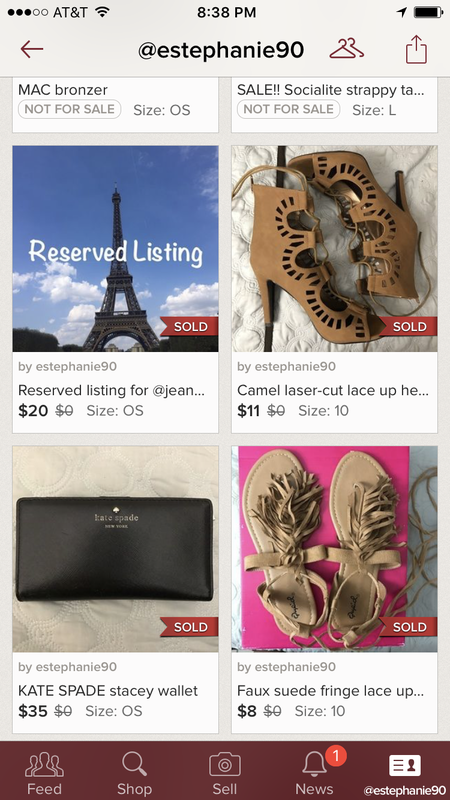 Ever since I started using it, I definitely look at retail more differently because 98% of the time..you could find what you're looking for on poshmark for more than 70% off retail. It's seriously a game changer. Now, I always look for something I'm interested in on poshmark before looking at an online site to buy..isn't that crazy? From a buyer's perspective its great, BUT from a seller's perpsective, its even greater. You and I both know that there's stuff just sitting in your closet that haven't been worn for MONTHS...so why not sell it and make some extra cash! 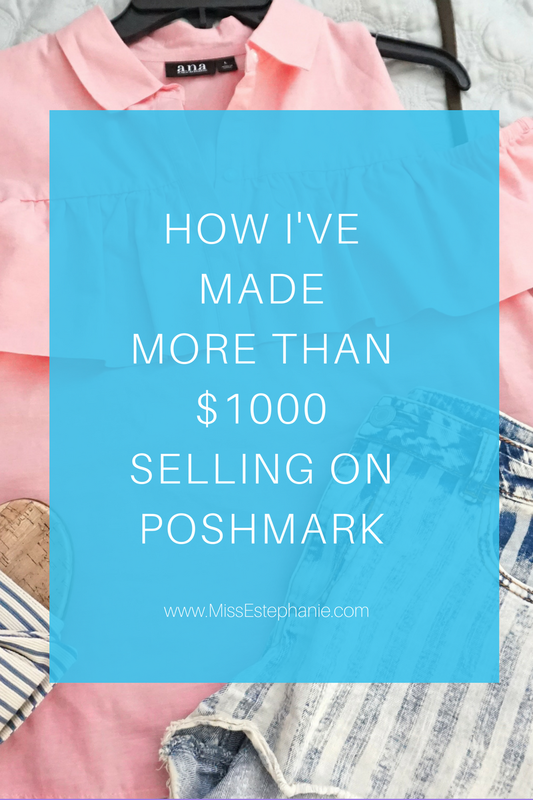 So keep reading if you want to know and get some tips on how to make great sales on poshmark! Disclaimer: Everything that I'm sharing is solely my opinion and how I've made sales/money. 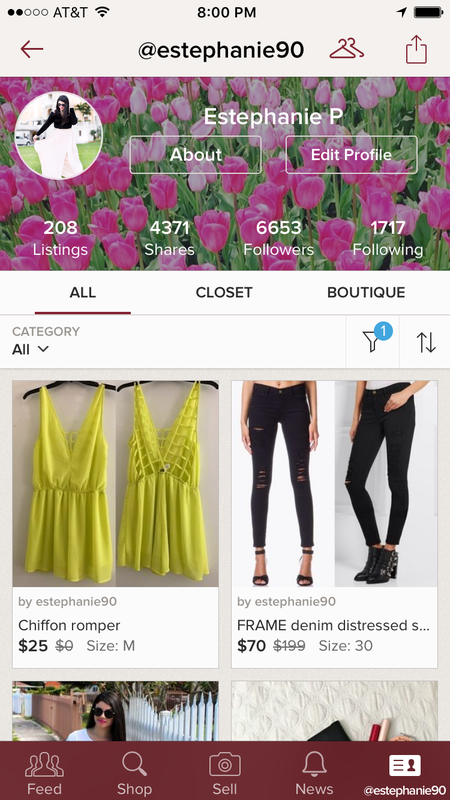 - Download Poshmark from the app store if you haven't (its free) and create a account. Then come up with a name for your closet! Make sure it's something that you'll remember because that's how you login! Also make sure to post a profile photo! - Next, post your first listing! Include clear and vivid photos of your items. They don't have to be from a professional camera (half of mine are iPhone photos) but make sure it shows the current condition and any flaws it may have. Next, fill out all the necessary requirements to post. PRO TIP: * Be as detailed as you can when describing the item. If it's new, then great; list it as new; but if an item is used, say so and describe its condition to the best of your ability. People appreciate the little details and this is something that could make or break a sale! People could always ask questions after, but be as honest as possible! - Also, if you're really trying to sell and attract people, make sure your closet has at least 10 listings to start off. If you only have one or two listings posted, it'll definitely not attract too many people. Think of your closet like a store...you wouldn't go and buy from somewhere with only a couple things in stock! - When listing an item, keep in mind of the price point. For instance, if your listing something that has been used (even if it looks new) ..your price should be a little more than 60% off retail. It's the only way people will be attracted and potentially purchase. This also goes for items that are currently on sale in retail stores and you just so happen to sell it...you have to make sure the price is reasonable. - Be mindful of the items you list. If something is beyond repair, or if its dirty and can't be cleaned, DO NOT list it. Before I list anything, I ask myself, will I ever buy this from some one else in this condition? PRO Tip: * Before I list something and I know that's still on out in the market...I make sure to search it up and see for how much its going for so then I have a better idea on how much to put it for. 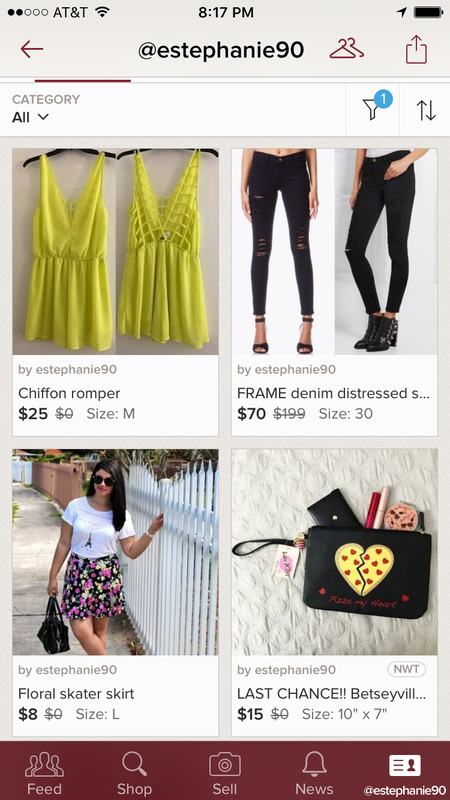 Items that do well on Poshmark (in my experience): New with tags/gently used clothes (tops, bottoms,dresses,athleisure) , shoes, accessories(sunglasses, jewelery. ), and even makeup! It also depends on the brand..if its a name brand, it sells pretty quickly. i.e. 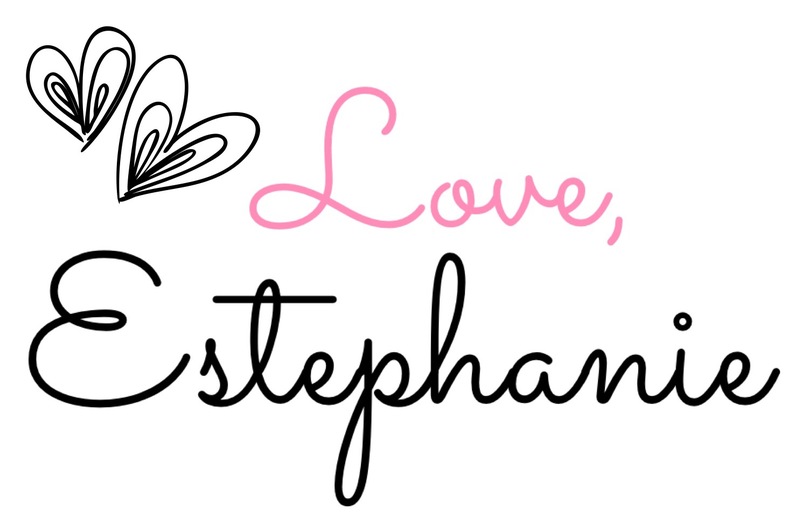 TopShop, Forever21, Pink by VS, Victoria's Secret, J.Crew..are just a few, but I'm sure you get what I'm trying to say! PRO Tip: * Not only do I sell items from my closet, but I also make time on the weekend and look for potential items that I know will sell well. 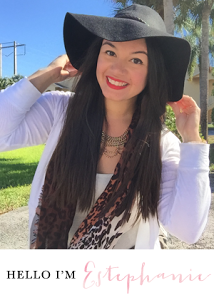 I usually source/buy at stores like Marshalls, Ross, TJ Maxx, and Goodwill! - I also make sure that nothing in my closet exceeds $40 (see photos above) . The only exceptions are if the item is luxury brand/name brand, then of course it'll be more, and if the item is in high demand. - Once you have your listings up, it's time to sell! Now these are the methods that I've used and still use when trying to make a sale. Consistency is key! There's a feature on the app that let's people know when new closets have been opened...so yours will be there too to let people know. That's one way for people to see your listings, another is to go and follow other people's closets. Especially ones that are selling similar things as you. - Another great way is to search up an item you have listed in your closet and see who else is selling it or if there's something similar to it. From there, I could list and/or adjust my listings price accordingly (if someone sees yours for a lower price, of course they'll go for yours) I also go and see the people that have liked or commented on a specific item I've search and follow them too lol (This is very helpful). Chances are if you follow them, they'll be curious and go and follow you too and check out your closet! This is how I've made many sales too. - SHARE, SHARE, SHARE! There's a feature on the app that when you tap on a listing you could share an item to your followers. I do this daily at least 2-3x a day when I have time. It could be a little tedious, but the more you share, the more visibility your listings have. Also, this is important to do with other people's listings, not only sharing your own. 99% of the time, if you share someones listing, they will share a couple of yours too..and this opens up opportunity for potential buyers! This is really great because the people sharing your items can have a significant amount of followers and this opens up opportunity for your items to be seen. - I also share many of my listings on social media (Facebook, twitter, pinterest). The more avid you are about sharing your listings, the more likely you'll sell. 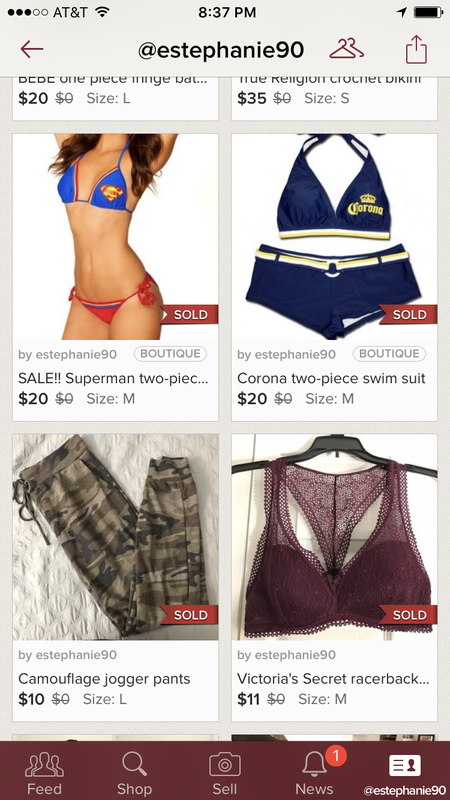 - Lastly, one of the best features on Poshmark is the offer feature. A buyer that's interested in a listing can submit a binding offer for your item. It's up to you to accept (yay, a sale!) or decline..OR you could send a counteroffer to the buyer (I do this often, and 8/10, they accept!). This is one way that I make a sale faster. Now I'm not saying to let go of an item for a cheap price, it has to be reasonable for you and the buyer (especially because the buyer has to pay shipping and Posh takes 20% of the total amount when you make a sale). EDIT: I forgot to mention about accepting reasonable offers. That's another sure way I make my sales. If a buyer sends a offer close to the asking price, I always accept. A couple dollars off won't hurt anyone and a sale is made! EDIT: 6/26/17: I totally forgot to post about the most important thing: How you get paid. LOL. HOW TO GET PAID ! - When you make a sale, you'll see the funds as "pending" til the buyer received what they purchased. -When buyer receives the item, you will see that on your end it'll say "Pending Acceptance" . The buyer has three full days to review the item and accept the item on the app. This is just a grace period for the buyer to open a case or remark if something is wrong with the item (not as described, dirty, etc). This rarely happens if you list the item as it is and describe it to the best of your ability (I told you this is important! ).